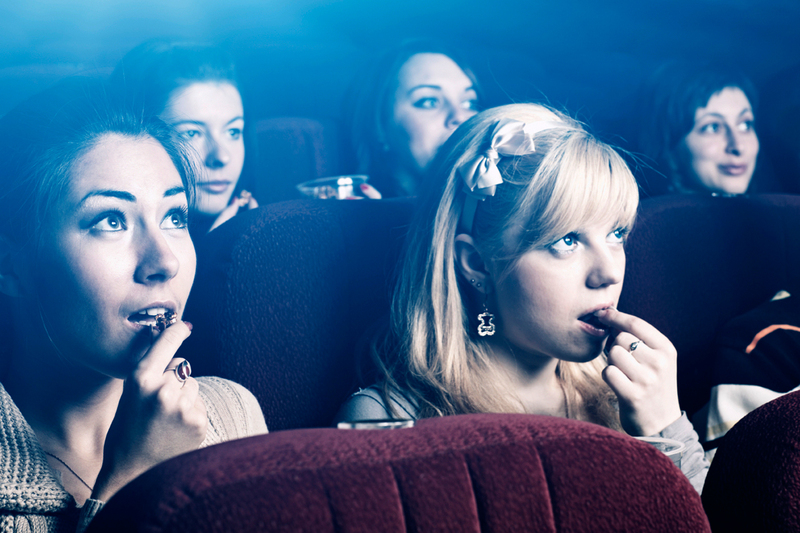 Whether it’s date night, girl’s night, or just something to do, seeing a film is always a welcome option. Not to mention, there’s always a few huge flicks that are released in the summer. From the heartbreaking Me Before You to the highly-anticipated Suicide Squad, here are ten movies to see before the season ends and we all go back to reality. Make sure you bring tissues because Me Before You will have you feeling every emotion. The heartbreaking film was adapted from Jojo Moyes’ best-selling novel and stars Game of Thrones‘ Emilia Clarke (Lou) and The Hunger Games‘ Sam Claflin (Will). The film follows Lou as she loses her longtime job and becomes a caregiver for Will, who became a quadriplegic after being injured in a motorcycle accident. As Lou tries to show Will everything that life still has to offer him, the two begin to fall in love and Will ends up teaching Lou a thing or two as well. Don’t have time to see the movie? Pick up the book, and be assured you won’t be able to put it down. (You’ll still need tissues.) Now Playing. Blake Lively returns to the big screen as a surfer in the new thriller The Shallows. Lively plays Nancy, whose mother’s passing has led her to the secret spot her mother used to surf. A peaceful day at the beach suddenly goes wrong as a shark bites Nancy’s leg. (Only Blake Lively could look this amazing after being attacked by a shark.) She is forced to hunt or be hunted as the shark continues to pursue her. Will she survive? See the film directed by Jaume Collet-Serra to find out! Now Playing. The action-packed Tarzan adaptation, The Legend of Tarzan, is finally here! This version of Edgar Rice Burroughs famous story takes place after Tarzan (Alexander Skarsgard) and Jane (Margot Robbie) are married and have left the African Congo. Tarzan has become Lord Greystroke and the couple of the jungle have become acclimated members of English society in London. It is only after being invited by King Leopold II of Belgium’s enforcer Leon Rom (Christoph Waltz) that Lord Greystroke decides to return to his former home, where trouble ensues. While there have been some mixed reviews, the combination of Skarsgard, Robbie, and Harry Potter and the Deathly Hallows‘ director David Yates should at least make for an interesting film. Now Playing. Zac Efron. Is there really any more we need to say? Mike & Dave Need Wedding Dates is a silly comedy about two raucous brothers who need dates for their sister’s wedding in Hawaii. The film, which reunites Pitch Perfect pals and comedy superstars Anna Kendrick (Alice) and Adam Devine (Mike), also stars Parks & Recreation‘s Aubrey Plaza (Tatiana). As Mike and Dave seem to ruin family events, their family insists upon them bringing well-behaved guests to the wedding. When they place an ad online to do so, little do they know that Alice and Tatiana party just as hard as they do. Need a laugh? This film is sure to garner a few. Now Playing. Who you gonna call? Ghostbusters! Melissa McCarthy, Kristen Wiig, Kate McKinnon, Leslie Jones, and Chris Hemsworth star in the reboot of the popular sci-fi/comedy franchise, Ghostbusters. The hilarious duo of McCarthy and Wiig play science-fiction authors who join together with a nuclear engineer (McKinnon) and subway attendant (Jones) to defeat the ghosts who have taken over New York City. Bridesmaids director Paul Feig and and co-producer Ivan Reitman, who directed the original Ghostbusters film, have teamed up for what is sure to be another successful female comedy. Now Playing. What would the world be like without emotion? Director Drake Doremus’ film dystopian drama Equals, starring Kristen Stewart (Nia) and Nicholas Hoult (Silas), begs this question. Coworkers Nia and Silas live in the “The Collective,” a future society where human emotions are suppressed with drugs. Despite this, the two develop an attraction to each other and engage in a secret relationship. As this is outlawed in their society and it’s only a matter of time before they’re found out, the couple decides they must escape in order to save their relationship. Can love truly conquer all? Now Playing. The third installment of the latest Star Trek series is almost here! It’s been too long since Chris Pine and Zachary Quinto have graced the big screen as the famous sci-fi duo Captain Kirk and Spock, taking on a thrilling adventure. The pair is joined yet again by Zoe Saldana and Simon Pegg, and this time will be introduced to an alien warrior race after the crew of the Enterprise becomes stuck on a distant planet. As the film was directed by Fast & Furious director Justin Lin, it’s sure to be action-packed. Sadly, this is one of the final films starring Anton Yelchin, who passed away last month in a tragic accident. Releases July 22nd. Ever wish you were a little more rebellious or took a few more risks? That’s exactly how high school senior Vee feels in the new thriller Nerve. The upcoming film stars Emma Roberts (Vee) and Dave Franco (Ian) and follows the the pair as they play Nerve, an online version of truth or dare. It’s all fun and games until Vee becomes manipulated by a group of “watchers.” Want to know how the game ends? See the movie when it’s released on July 27th. Matt Damon returns to one of his most famous roles in the fifth installment of the action/adventure Jason Bourne series. This film is the sequel to The Bourne Ultimatum, as the fourth film, The Bourne Legacy, was centered around Jeremy Renner’s character Aaron Cross. In Jason Bourne, the former CIA agent has his memory back and we can expect both answers and intense action sequences. Paul Greengrass returns as the director of the film that him, Damon, and Christopher Rouse wrote together, and Julia Stiles is reprising her role as Nicky Parsons. All-star newcomers include The Danish Girl‘s Alicia Vikander, Tommy Lee Jones, and Edgar Ramirez. Releases July 29th. With an all-star cast and the promise of an exciting storyline, Suicide Squad is probably the most anticipated movie of the summer. Starring Margot Robbie, Will Smith, Jared Leto, Viola Davis, Cara Delevingne, and Scott Eastwood, the film brings together the supervillains of DC Comics for an intense mission that not everyone will survive. The Joker, Harley Quinn, and Deadshot, who are imprisoned by a secret government agency, are tasked with stopping an unknown power. If successful, the villains will be freed; however, not all of them will make it out alive. To add to the excitement, Ben Affleck will be appearing as Batman in the film. See who survives starting August 5th. Grab some popcorn and candy, and we’ll see you all in theaters this summer!